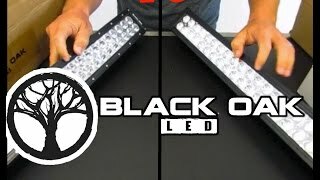 LED work lights have important advantages over other work lights. They sip power while producing greater luminance compared to halogen or incandescent lighting. Since there is no filament, they easily handle the inevitable bumps that work lights encounter daily. Under normal usage, the LEDs have a lifespan of 50,000 hours. Since most lights utilize an array of LEDs, there is built-in redundancy. Anyone who has had a work light outage in a tight crawl space would appreciate this feature! Because they need little power, battery-operated, rechargeable lights are ubiquitous, run longer on a single charge and are easy to carry. 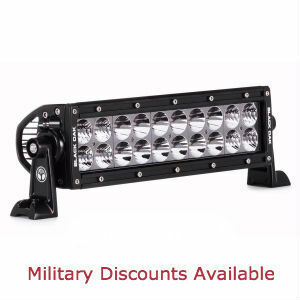 To top off all these inherent advantages, the best LED work lights are supremely affordable too. Work lights come in many shapes, sizes and beam patterns. 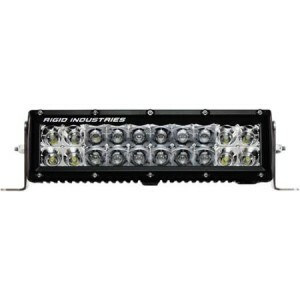 They are an ideal choice for work vehicles such as utility trucks, tractors, construction site vehicles and pickups. They are superb for workshops, lighting up your garage or brightening any dark spaces. High power floodlights attached to auxiliary equipment bars on trucks or heavy equipment can be rotated to light up specific areas. 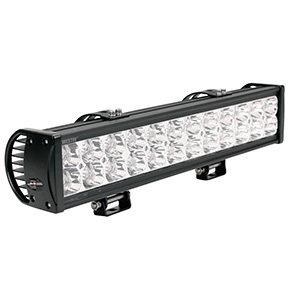 Cab or rack-mounted lights let you locate tools or perform work in your truck bed. Farmers get twice the light from tractor-mounted high-quality LED lights as compared to halogen lights so they can stay in the field well past sunset. 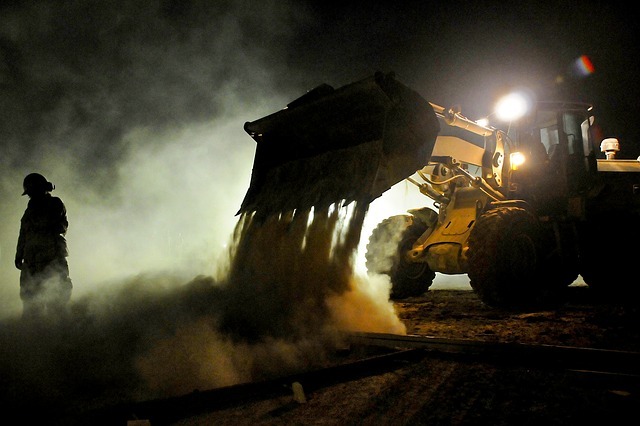 Work lights you can carry are the most versatile solution to lighting up job sites or enclosures. Basic models come with feet and comfort-grip handles with one or more LEDs mounted in a reflector behind an unbreakable lens. They are made with the broadest beam width that is practical for lighting up large areas. Floor models can be mounted on tripods to increase coverage. Two or more on a single tripod can be angled to light up an entire site. 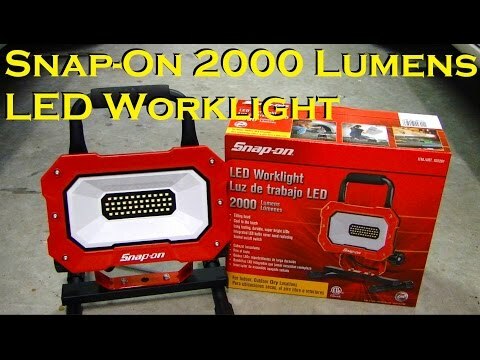 Portable lights may use batteries, but most battery-powered models are smaller, handheld or made for semi-permanent mounting in a workshop, garage, closet or utility room. The smallest ones can be used as flashlights or used on camping trips for tent lighting. Some have hooks so they can be hung anywhere that is convenient. Emergency lights plug into your mains circuit, charge while the AC power is on and turn on automatically when power fails. Miniature auxiliary lights often augment a vehicle’s built-in interior lighting, especially in the trunk or in the engine compartment. 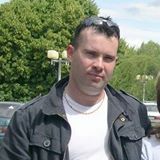 Those that connect to a vehicle’s battery directly or via a cigarette lighter are essential on dark nights during mechanical breakdowns for cars, trucks, motorcycles, ATVs and UTVs. They can also be used to alert traffic or increase highway visibility. You are likely to find a multitude of uses for LED work lights, but realize there is no single work light that can do it all. Look for well-known manufacturers, such as Snap-on and Loftek®, but otherwise rely on buyer reviews to find a light that will work for your application. LED work lights are not expensive, so finding a dud will not set you back much. One tip is to choose work lights with LED color temperatures of 5000K or less to achieve accurate color render, which is especially important for finish work. The Elecrainbow Portable Super Brightness LED Work Lights is a highly versatile and inexpensive LED work light. It puts out a bright beam, weighs less than half a pound and runs off four AA alkaline or rechargeable batteries. It has a rotatable hanger and three heavy-duty magnets on the back for plenty of mounting options without the need of screws. 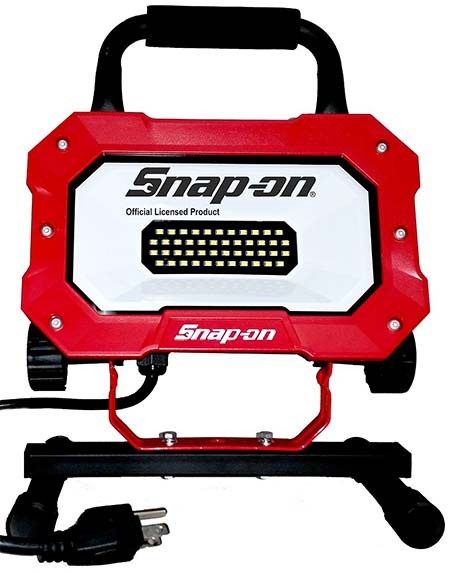 The Snap-on LED Work Light, Model 922261 is a well-designed, rugged floor work light that provides a lifetime of reliable service. It puts out 2000 lumens from 46 integrated LED bulbs consuming just 25W. The switch is sealed against dust and moisture. This light is thin, runs cool, weighs under 5 lbs. and the beam angle is easily adjusted. Its 5000K color temperature provides perfect color render. 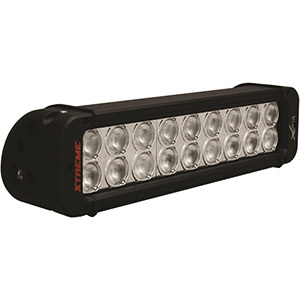 The best LED work lights are indispensable tools of just about any trade and especially useful for vehicles, job sites, workshops and anywhere you need lightweight, portable and bright illumination without using a lot of power. 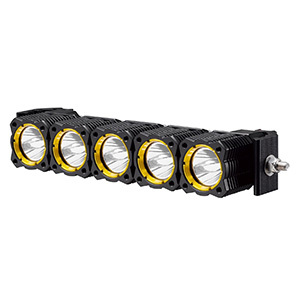 They boast high luminosity, highly efficient power consumption and form factor variety that cannot be matched by other types of work light technology.